Please join us in a mass Sufolk County Challah Bake at the Young Israel of East Northport in conjunction with The Shabbos Project. 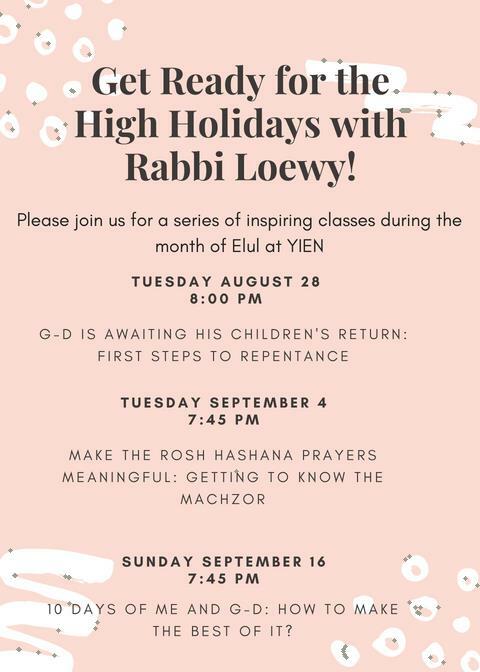 Get Ready for the High Holidays with Rabbi Loewy! The Traveling Chassidim are Coming Shabbos Nachamu!